Last one!!! So you really managed to take a picture and post it every single day? Well done! 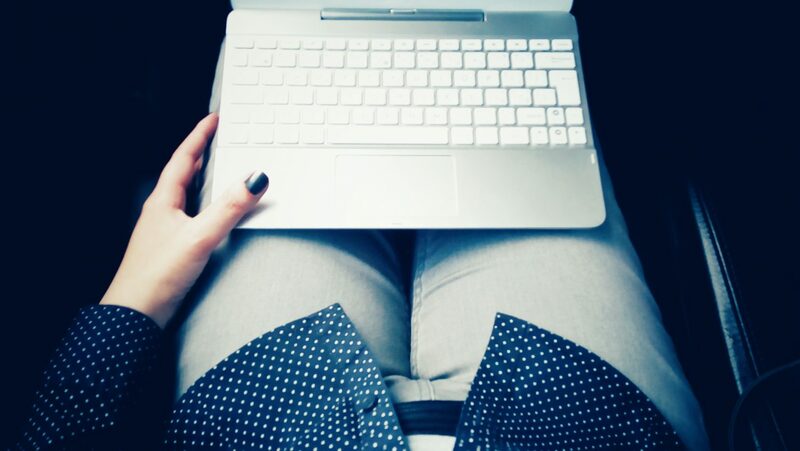 I like the picture and the colour of the notebook of course (harhar;) ), and love how your nail polish matches the shirt and even surrounding… Can’t get any more stylish than that 😉 ! Yes, I did it 😀 It was quite fun. Except when it was boring. Overall, I’m glad I did my 365 project and I’m glad I’ve finished it, so I don’t have to worry about taking a picture each day. I’m obsessed with colour coordination, so why, indeed, my nails must match my outfit (and preferably also the bus seats) 😉 My OCD is probably getting out of control. Or you’re just developing your taste in fashion 😉 Well done on your project, congratulations 🙂 !!! Thanks a lot! I see your Mural May project is drawing to its end, it would be interesting to read your thoughts on it after the project’s completion. It’s not a small blogging achievement either. Relax when you’re on holiday, you can blog later when you feel like it!